Chris Moreh is Lecturer in Sociology at York St. John University (UK) and Visiting Research Fellow at the University of Southampton (UK). He holds a PhD in Social Sciences from Northumbria University (UK), an MA in Sociology and Social Anthropology from Central European University (USA and Hungary), and a BA Honours in Cultural Anthropology from the University of Budapest (Hungary). His research interests relate primarily to the political sociology of transnational citizenship, with a focus on international migration processes. 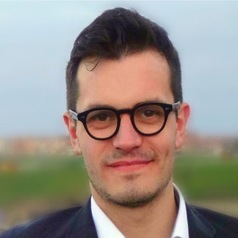 His current research examines the effects of the United Kingdom’s departure from the EU on EU citizens living in Britain. As part of this, he is Co-Investigator on the ESRC-funded project "Transnational healthcare attitudes among Polish migrants in the UK" (2019-2021). His work has been published in leading academic journals such as International Migration Review, the Journal of Ethnic and Migration Studies or the British Journal of Sociology, and he is author of Alcalái Románok. Migráció és társadalmi differenciálódás [Romanians of Alcalá. Migration and social differentiation – in Hungarian] (L’Harmattan, 2014).